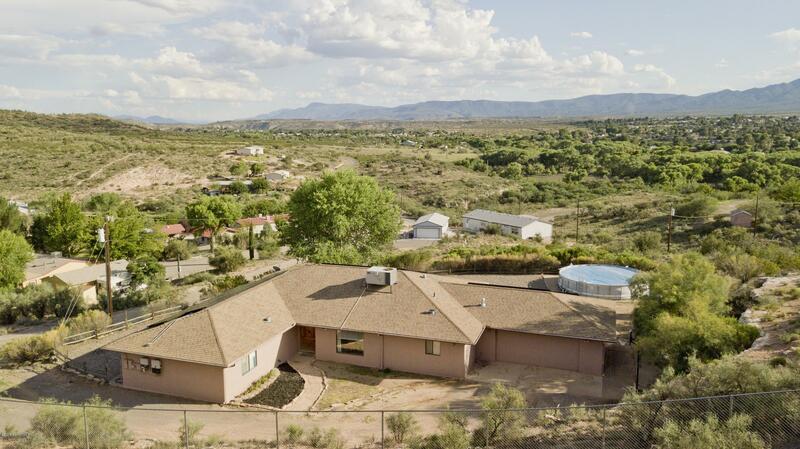 Beautiful New Listing with Spectacular Views! Home is ready for a Primary, Secondary, or Investment Property Owner. Property is located within an area without an HOA! Comes with a Grandfathered APS System and a Shared Well. This home is almost totally off the grid! In addition to that, this home has an above ground pool, a cozy split floor plan, an office, a formal dining room, and a floor plan that has the ability to be converted to five bedrooms! Please call agent to schedule an appointment. Home is Owner Occupied and will need advanced notice to preview.